The property was built prior to 1978 therefore lead based paint may exist. Property may qualify for seller (vendee) financing. No state contract required. Use forms provided completing all fields. Buyer is responsible for paying for their own title insurance and closing costs and buyer chooses title/closing company. Vinyl siding, hardwood floors, large lot, 1cd garage. 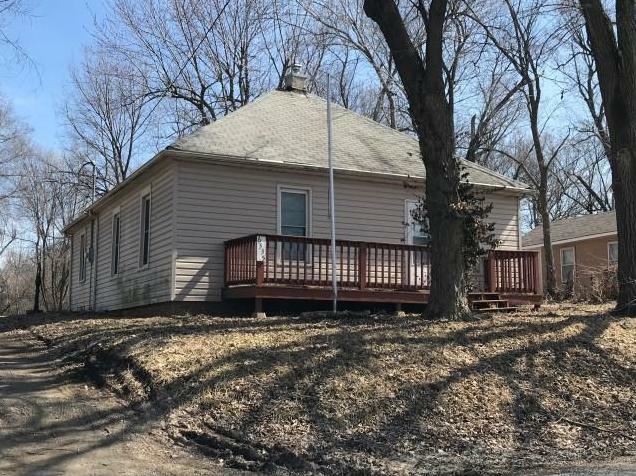 6335 S 14th Street (MLS #2157943) is a single family home located in St Joseph, MO. This single family home is 1,064 sqft and on a lot of 19,166 sqft (or 0.44 acres) with 2 bedrooms, 2 baths and is 102 years old. This property was listed on 04/10/2019 and has been priced for sale at $20,500. Nearby zip codes are 64501, 64503, 64505, 64506 and 64507. This property neighbors other cities such as Easton, Elwood and Wathena. Listing Last updated 04/24/2019 4:45 PM CDT . Some properties which appear for sale on this web site may subsequently have sold or may no longer be available. Walk Score provided by Walk Score. Mapping data provided by Google and Bing.